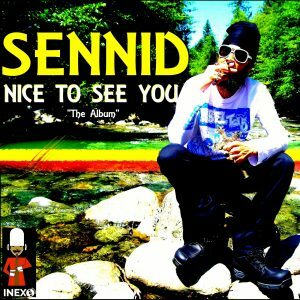 Sennid is a Rastafarian reggae singer who grew up playing and singing music, learning from his father whom is the biggest influence in his music career, who himself is from a musical background. He has been singing and performing from an early age, his music is surrounded around a universial message of positivity and up-fullness in inity and harmony for all races by spreading and sharing the love and good vibes with everyone. Give thanks too thee Most High I-tinually HAILE SELASSIE I JAH RASTAFARI!! Presently living in the woods, Oregon, Usa. 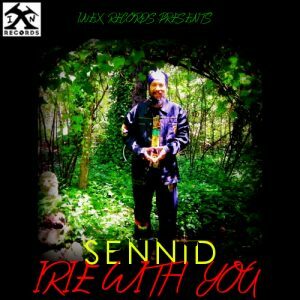 Sennid with a calotogue of materials produced, now signed to UK label In-Ex Records latest release “Irie With You” is available in all major stores as well as In-Ex Records website. He has a new album coming out titled “Nice To See You – The Album”, this is due to be released within next couple of months…look out for it. 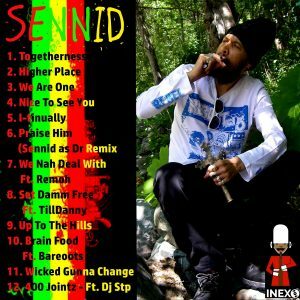 Follow Sennid on the below links.